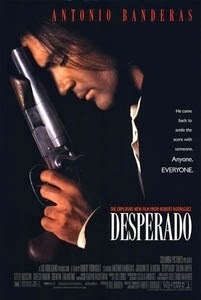 Not as consistently entertaining as the first installment and feeling a tad bit recycled in the plot area, Desperado is still a fun movie in its own right. Highlights include some scene-stealing bits from Tarantino and Buscemi. However, its hard to favor this film over El Mariachi since the only improvements in this sequel are the acting, the visual aesthetics, and slightly more appealing dialogue. The 2nd act feels very repetitive and even unexplained at some parts, but the setup and resolution are what makes you not help but further your appreciation for this franchise. The characters are much thinner and it doesn’t seem to have quite as much heart, but Desparado is still worth the watch!